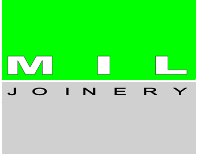 With over 60 years of experience in the industry, Morrinsville Industries Ltd (MIL Joinery) is one of the Waikato's leading joinery and cabinet manufacturers. As members of the Master Joiners Assn we manufacture and install kitchens, cabinets and joinery to the highest standards. Our design specialists use only state of the art production methods and technology, which ensures that all our products are manufactured and produced to the highest of standards. The highly experienced team at Morrinsville Industries Ltd (MIL Joinery) are experts in joinery and cabinet making.